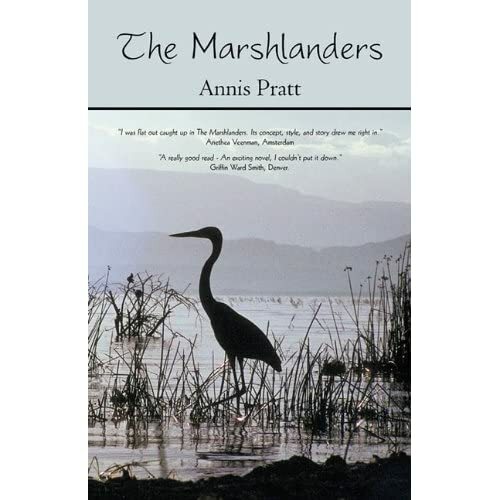 Local author Annis Pratt is on the move. Though the Birmingham resident and former college professor is now retired, she certainly doesn’t appear to be altering her pace. As a community activist, writer, facilitator, and educator, Pratt is well known for her intellectual and philosophical prowess. However, it is for her latest accomplishment as a novelist that Ms. Pratt took some time to discuss the journey toward the achievement of her dream. Though perhaps not a poet by profession, the sweep of Annis Pratt’s life has indeed been poetry in motion. Settling in Birmingham with her husband Henry in 1979, Pratt found herself holding a Ph.D. in Comparative Literature with no promising offers of a full-time professorship. Limited by local prospects, professor Pratt landed a job at the University of Wisconsin-Madison, resulting in a weekly Michigan commute which lasted twenty years. Laughingly, the affable Pratt freely admits the commute was “a terrible pain.” Yet as an English professor in Madison she was widely known as a mover in women’s rights and women’s literature. Her writings on mythology and archetypes garnered high praise and she penned two prize-winning non-fiction books in the process. However, by 1990 Pratt had tired of academia. Courageously tossing her Full Professorship to the wind, she decided to become a novelist and return to her two daughters, husband, and home in Birmingham. And ideal community is something Annis Pratt knows plenty about. Her humble claim that she’s doing “more thinking and discussing than running around” at this point is a touch hard to believe. Despite writing “two hours a day, if not more” in addition to marketing her books, Pratt remains an integral link in the chain of community activism. Ever the educator, the energetic author continues to teach adult education classes at the Birmingham Unitarian Church and also facilitates the discussions at Baldwin Public Library’s Socrates Cafe. But it’s not all cerebral for Annis Pratt. She also manages to organize donations for the Welcome Inn in Royal Oak and avidly attends local commission meetings to advocate for public transportation. For now though, Pratt is thrilled about The Marshlanders and is contagiously excited about the second volume in her trilogy titled Fly Out of the Darkness. “Age, wisdom, perspective,” she smiles. And why shouldn’t she? She’s a writer. * You can also find this article by linking to the online news publication Birmingham Patch. For extended excerptsand more information on Annis Pratt, you can link to her website here. It’s all good. Really good, in fact, if you read the words of authors Ron Hall and Denver Moore in the huge uplifter Same Kind of Different as Me. This true story of two men who find spiritual order in the chaos of each other’s lives is nothing short of miraculous. The course of life, as we all know, is a haphazard ride. Like a bouncing pickup on a back country road, each pit and pock has the capacity to keep us on course or toss us clear out the window. But international art dealer Ron Hall and modern-day slave Denver Moore (yes, unbelievable) have buckled in together for the long haul. Though time doesn’t allow for a full review, I can tell you that “wealthy white man helps poor homeless black man” is far too simplistic for the emotional depth of this book. The winding road that constructs Same Kind of Different as Me snakes through the plantation south, scales the heights of heaven, drops to the depths of hell, and delves deep into the heart of both Texas and humankind. 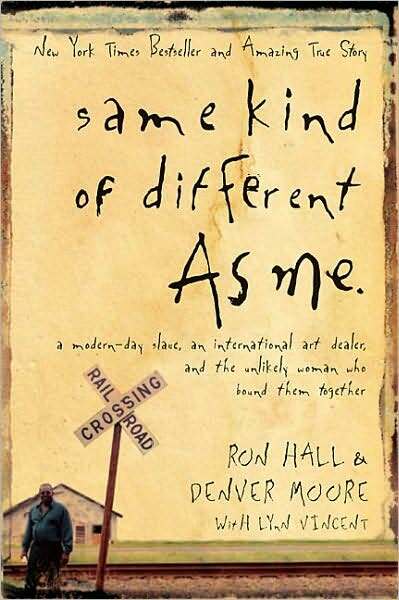 Same Kind of Different as Me might not snag you for its literary prowess or impenetrable threads, but it will certainly grab you with its honesty. There’s much to learn about life and love within its pages, so I’m going to push this one as sheer inspiration. Believer or not, let faith take over and enjoy the ride. Impressive is the independent bookstore that remains afloat today, but even more so for the shop that shows acceptance and determination in surviving the techno-shift. As any avid reader knows, the tremendous e-sway and conglomerate collapse within the book industry is rocking the boat of traditionalists on both sides of the cover. Those of us who relish the endangered hardcover and those who peddle them certainly need each other to right the ship and stay the course. McLean and Eakin is one such indie that seems to be managing the tides. Located in Petoskey, Michigan, McLean & Eakin Booksellers has an extensive online presence that offers up worthy picks, Indie bestsellers, knowledgeable staff faves, and ebooks. Book clubs? Features? Site links? It’s all yours on the homepage. So, even if you’ve never stepped through the doors of this northern gem, you can still settle in with a little armchair travel. Such online accessibility is no doubt one of the keys to independent success. The other is networking and brainstorming with other booksellers at such events like the ABA’s Winter Institute where McLean & Eakin was represented by owner Matt Norcross. Check out what Norcross and others had to say about keeping current in this New York Times piece, Small Bookstores Struggle for Niche in Shifting Times. Standing room only, fans waving signs, book tour t-shirts? If you woke up smiling today then you probably made it to Brad Meltzer’s Borders appearance last night in Birmingham. Who knew that the author and star of The History Channel’s Decoded could be… well, so damn funny? Brad Meltzer was in Birmingham to promote his recently released thriller The Inner Circle and plug his television show, but finessed the push by quickly turning the literary crowd to laughter. Clearly at ease with the mike, Meltzer only gained momentum as he discussed the evolution of his latest book and the cool factor of his show Decoded. Brad Meltzer is all about history, and the seed of The Inner Circle was planted when the author received a call from Homeland Security. He was asked to be part of a project consisting of “out of the box thinkers” who brainstorm ways that terrorists might strike our cities. Not only did Meltzer find the reality of potential attacks horrifying, but the sessions also led him to the topic of spy rings. The fact of the matter is that George Washington had a spy ring. When the author inquired how long that ring lasted, the response was “who says it still doesn’t exist?” Wild premise for a book, no? So Meltzer ran with it, and the passing of presidential secrets is the spine that solidly holds his book, The Inner Circle, together. As for pushing Decoded, Meltzer had a hoot. Admittedly, with the DVD screen set up it appeared as if Borders had us queued up for a forced episode watch. Not so. The “episode” was a walk through of self-poking fun by Meltzer as he emceed his staged poses from the show. Meltzer’s Thinker variations were hilarious, and as the opening scenes from Decoded played on, Meltzer assured us that he was highly trained in such posturing and warned of the dangers of attempting such staid postures at home. Though Meltzer is clearly connected at the top, he is clearly not all about Brad. When he was asked about Minnie, one of his Inner Circle characters who is afflicted with a certain syndrome (no plot spoilers here), the author shared his desire to draw attention to the obscure condition in his book. In that way, it creates an awareness for readers that normally would never have exposure or knowledge of the syndrome’s existence. As for the book tour t-shirts? “Why not?” asks Meltzer. Musicians go on tour and sell t-shirts all the time. Holding up the black tee with the hard-core print and the cities detailed on the back, Meltzer said, “Look, where else can you find Birmingham, Michigan and Boca Raton on the same tour?” But it’s not all just for fun, all proceeds go to City Year, a program near and dear to Meltzer’s heart. Best-selling author Brad Meltzer will be presenting a reading and signing of his new book The Inner Circle at Borders in Birmingham tonight, January 20, 2011 at 7:00 pm. The author will also be sharing footage from his new TV show Decoded which airs on The History Channel. Meltzer’s Inner Circle was just released on January 11th and it’s a real ripper. Packing enough suspense and conspiracy theory to make it to the big screen, The Inner Circle’s pace thrills and easily turns it’s 449 pages into a true popcorn read. For more on Brad Meltzer and The Inner Circle, try this article from Birmingham Patch or link here for more on Decoded. After catching Gabrielle Hamilton’s personal history piece The Lamb Roast in my favorite mag last week, I thought I would re-run NLR’s recent post on the famed chef/author. If you are tempted by Hamilton’s upcoming book release, you can get a “taste” of her writing style by linking above or to the January 17, 2011 issue of The New Yorker. It is far more likely that foodies rather than lit-junkies recognize the name Gabrielle Hamilton, particularly if one lives in NYC. In her digs on 54 East 1st. 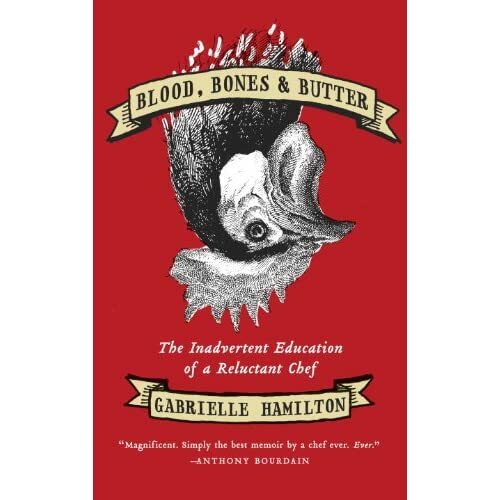 Street, the touted chef and owner of Prune is soon to toss up her first book titled Blood, Bones & Butter: The Inadvertent Education of a Reluctant Chef. The Friends Don’t Let Friends Read Alone book club is meeting this Tuesday night at Zuma Coffee House in Birmingham. Open to all, the group will be discussing The Undertaking; a beautiful body of work by local poet, author, and undertaker Thomas Lynch. Please join in for what is sure to be a “lively” discussion of Lynch’s Life Studies From the Dismal Trade. Friends Don’t Let Friends Read Alone is sponsored by the Baldwin Public Library and makes copies of the chosen titles available to any affiliated library card holder. Keep in mind that anyone can attend – library member or not – and enjoy the company of fellow book lovers. Books on tap for the group include Alexander McCall Smith’s No.1 Ladies Detective Agency and the oh so mysterious (and yet unannounced) Everyone’s Reading selection for this year. If you are interested in attending, the group will meet at 7:00pm on Tuesday, January 18, 2011 at the Zuma Coffee House which is located at 207 S. Old Woodward in Birmingham. For more information contact Kathryn Bergeron (kathryn.bergeron@baldwinlib.org).